Wrapping of goods is a costly process for production companies around the world. The Danish company Frank Bruhn Aps has developed a new technology, which can relieve the issue. With a unique wrapping solution using stretch film, Frank Bruhn ApS has already put their machinery in operation in several European countries. An investment from The Danish Growth Fund, is going to boost the international expansion of the company, which as of September 1 changes its name to Tentoma. Tentoma has patented elements of a packaging machine that ensures high packaging quality combined with cost saving, less environmental impact and improved work environment. The fully automatic wrapping machine stretches and wraps a tube of plastic foil over large goods from ex. saw mills, building and isolation producers and ensures a close-fitting wrapping. “With our machines it is possible to package goods up to 6-8 meters long in a 100 pct. sealed plastic, protecting them from external impacts such as water, humidity and contamination. It is especially relevant when it comes to ex. isolation, building materials, wood and textile fabrics rolls. “This way we ensure significantly better packaging quality as well as reducing costs significantly by a reduction in wrapping material and energy consumption compared to traditional solutions. It means that our machines have a very attractive repayment period”, managing director of Tentoma, Henrik Raunkjær, explains. He continues to elaborate that there are benefits for the environment as well, since the new wrapping technology works without the shrinkage ovens used in traditional package solutions. Thereby, a heat source can be eluded from the workplace, and the energy consumption and CO2 emission is reduced. The benefits of the new wrapping technology has already brought the packaging machines into the European markets, where they are currently installed in Germany, Poland and Spain and new machines are on their way to Sweden, Austria and Finland. With an investment from The Danish Growth Fund, the international expansion is exactly the focus moving forward. Stig Poulsen, partner at VF Venture, is pleased with the investment and sees great potential in Tentoma’s packaging machines. “Tentoma has managed to develop an innovative and resource-saving solution for an otherwise cost-intensive packaging market. The company is run by a team, who combine many years of experience from the packaging industry with a clear commercial understanding and they have already installed their machines in several European countries. It paves the way to a large potential and the investment from The Danish Growth Fund provides sufficient capital for scaling of i.a. the sales organization, which contributes to the growth and international sales“, says Stig Poulsen. As part of their growth plans, Tentoma have already hired two more sales representatives and a supply chain manager and expect significant growth in the years to come. “We are pleased to have an experienced investor such as The Danish Growth Fund on board. To reap the full potential of the European markets, we need to supplement our private investors with a larger investor. With The Danish Growth Fund, we get a strong partner, who makes it possible for us to support large international companies”, says the company’s founder, Frank Bruhn. Frank Bruhn ApS was founded by Frank Bruhn in 2011 and has since then developed a fully automatic wrapping machine, which can wrap larger goods, ex. for the construction industry, in a tightly sealed packaging protecting it from the weather. The company, which is located in Denmark, has already put their machines into operation in Poland, Germany and Spain and deliveries for Sweden and Finland are on their way. 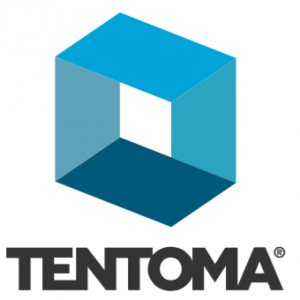 As of September 1, the company changes its name to Tentoma. VF Venture is The Danish Growth Fund’s department for direct investments, which invests equity on market terms in Danish companies with a proven track record as well as young, innovative Danish companies with ambitions to expand beyond geographical borders. The team invests in five to ten companies a year and the active portfolio consists of more than 30 companies.